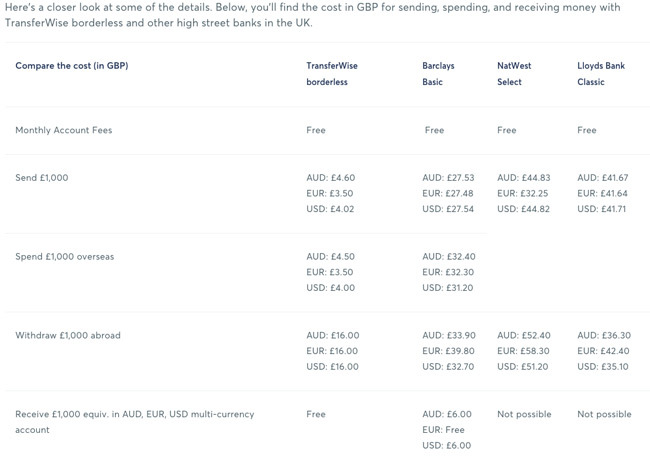 Those of you familiar with TransferWise will know that it is the cheapest way to transfer money between countries. It helps you avoid bank fees and gives you the real exchange rate. I have written about this service in another post and it's been hugely helpful to other expats over the last 2 years. And now I am pleased to report on the global rollout of the TransferWise borderless account. With a TransferWise borderless account you can now send, receive and spend money around the world with the real exchange rate. I was lucky enough to be one of the people selected to trial the borderless account last year. Based on the feedback of people involved in the trial, this service has gradually been rolled out to a wider audience in different countries over a number of months. In this post, I'll walk you through exactly how the borderless account works, help you identify whether or not you need a borderless account, and reveal all the details on set-up, fees and how much you can save in comparison with traditional banking methods. What is the Borderless Account? A borderless account is a bit like having local accounts all over the world. It’s a multi-currency account that lets you keep money in 40+ currencies, and convert between them at the real exchange rate whenever you need. Who is the Borderless Account For? The account is for anyone really, but I'll explain how it has been useful for me. I receive regular payments in US Dollars, and occasionally Euros too. Historically payments were made to my PayPal account or my UK bank account. With PayPal, I would have to pay a receiving fee, and then pay another fee to transfer this money to my UK bank account; in doing so I am subject to PayPal's horrible exchange rate. If the money is paid into my UK bank account, then I'm usually subject to a wire fee, and if not a wire fee, I always have to suffer the poor exchange rate given on transfer. But now, with TW, I just give my borderless US account number to the person or company paying me and have the US Dollars paid into my account. I can then spend in US Dollars using my TransferWise MasterCard, or I can transfer the US Dollars to my UK bank account at the market exchange rate. Here's a screenshot of my personal account dashboard. As you can see, it's just like an online bank account. I've blanked out personal details and sone of the transactions. I incur a small fee from TransferWise for withdrawing to my bank account and converting the currency, but I save so much money compared with having the money paid into PayPal. Moreover, if I receive Euros or Australian Dollars, I can also keep a balance of these currencies in my TransferWise account. I can then spend the balances of these currencies in any country I choose, even here in Thailand. The borderless account will benefit people who work in professions where they receive money from a source based in America, in Australia, in the UK or in Europe. Think people like freelancers, expats, second home-owners, international students, overseas contractors, etc. You can receive the money into your borderless account and then spend the money using the borderless debit card, either through withdrawal or electronically. Or you can send the money onto another bank account linked to your borderless account. As you can see, you can make ATM withdrawals, contactless payments, online purchases, chip and pin and more. I don't actually use the debit card that much. My main use is having money paid into the borderless account and then transferring money to my bank account in the UK. I do use it in Thailand when I'm short on funds in my Bangkok bank account, which incidentally I often top up by using TransferWise to send money from my UK bank account to my Thai bank account. *On another note, I recently found out that Bangkok Bank are no longer issuing Visa debit cards, and those who do have Visa cards won't be able to get a replacement if they lose the card or it expires. Instead they are issuing Union debit cards, which are pretty much useless because you can't really use them anywhere, though you can use them to withdraw money. So this is another good reason to have the borderless account debit card. For the record: there is no real difference between MasterCard and Visa. The two are both widely accepted in over two hundred countries and it is very rare to find a location that will accept one but not the other. There are also those who regularly visit Thailand but struggle to get a bank account, or just can't be bothered to go through the process. 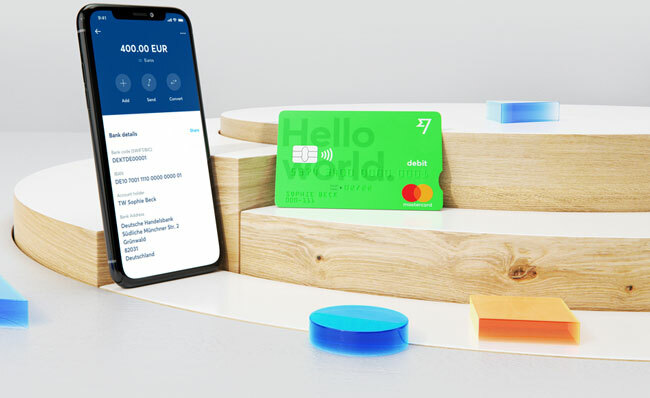 The TransferWise borderless account is very well suited to visitors who would like to have a debit card that provides them with favourable exchange and withdrawal rates. Inside the box is the ostentatious card > your key to stress-free spending. It is really useful when visiting other countries, too. I was recently on holiday in Switzerland. When I ran out of Swiss Francs it made sense to use the TransferWise debit card because it gave me a favourable exchange rate. As I spent, it transferred the US Dollars in my borderless account to Swiss Francs. The large majority of people can get a borderless account right now, but they are still rolling out the debit card to a number of countries. Currently it's only for personal use, too, but they have a plan to roll out the card to business users soon. Lets you spend anywhere in the world at the real exchange rate. You'll pay low conversion fees, and zero transaction fees. Free to pay with currencies in your account: convert money into your required currency and it will be free to spend or pay in your chosen local currency. Free ATM withdrawals up to £200 a month. Only pay a small conversion fee when you convert your money — typically between 0.35% and 1%. Pay in any currency, anywhere and it will automatically convert the currency in your account with the lowest conversion fee. Free same currency withdrawals for personal account users ( there are a couple of exceptions). A list of countries where the card is available can be found here. So those based in the US can't get the debit card right now but can open a borderless account. I'm pretty sure the card will be rolled out in the US soon. Select a currency. You can set up each currency with just a couple clicks. You can have more than one currency. It's free to set up your account. The only cost you’ll be charged is a fee to convert between currencies – either in your account or if you spend on your TransferWise debit Mastercard in a currency you don't have in your account. When you convert money in your account it's always with the real exchange rate, and you always see the fee before you make the exchange. 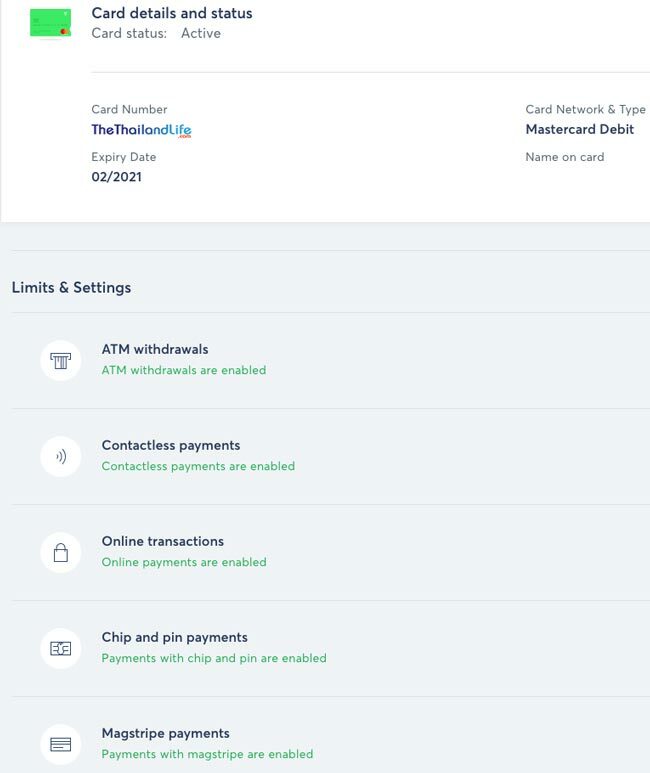 If you spend on your debit Mastercard in a currency you don't have, Transferwise chooses to convert the balance with the lowest fee, so you never have to worry about getting the best rate. I have pictured the fee tables for the US and UK accounts below. Is TransferWise Really Cheaper Than My Bank? In a nutshell, yes, much cheaper – at least for this type of banking where you're dealing with foreign currencies and spending abroad. Consumer Intelligence conducted research in January 2018 comparing the TransferWise borderless account to 21 current accounts offerings from banks in the UK, Europe, USA and Australia. Additional data research was conducted in March 2018 and on an ongoing basis since then to ensure accurate and up to date information. There is no doubt that a borderless account will save you money. The borderless account is the first platform offering true multi-country banking to anyone who needs it, no matter where you live. You can receive and send money all over the world, and hold and convert money in over 40 global currencies, and get a contactless Mastercard debit card for spending abroad. 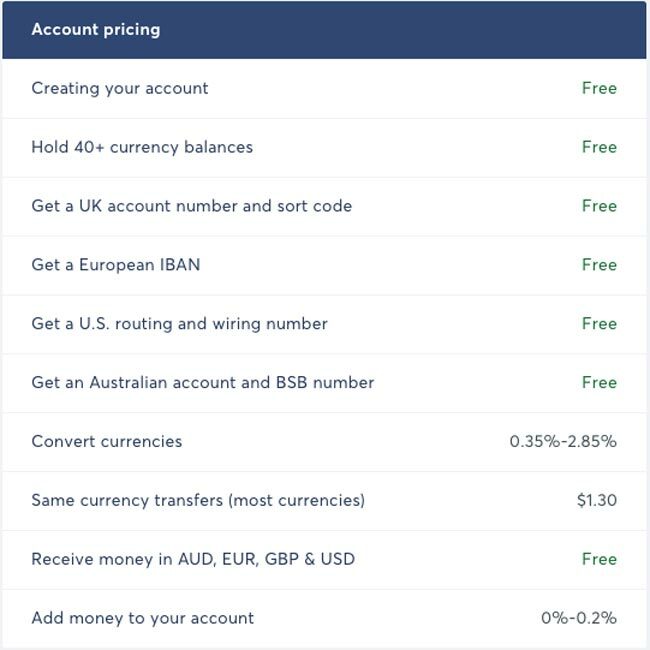 If you are paid in a different currency than that of your home country, or perhaps even receive income in multiple currencies, the TransferWise borderless account will save you money. If you have been using PayPal to receive foreign currencies and then transfer them to your bank account, you can get those same companies or individuals to pay you into your TransferWise borderless account and avoid those evil PayPal fees. 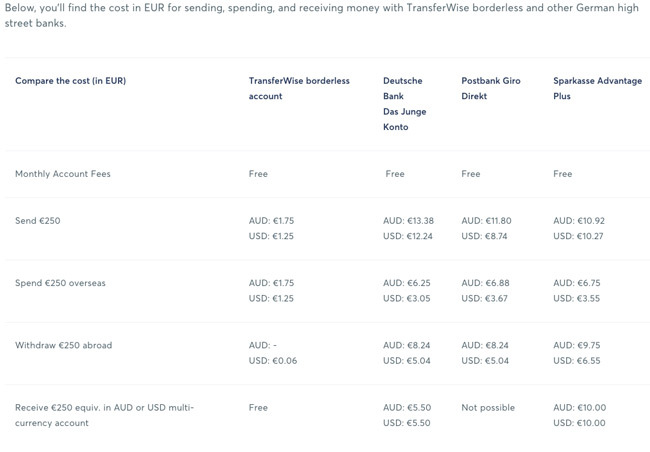 Do note that you can't transfer money from a PayPal account to your TransferWise borderless account. PayPal would never allow that to happen! Trust me, I phoned them to see if I could get my TW account added to my PP and they were brutally honest about why they wouldn't let this happen. 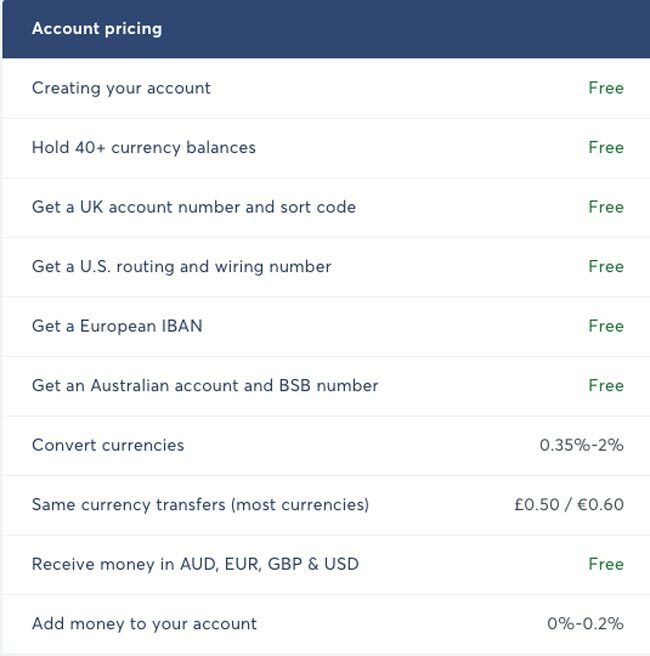 You can also do favourable currency conversions within your TransferWise account, but that's optional. With the TransferWise debit card, you can spend the money from any currency inside your TransferWise bank account in any country around the world. This is modern a modern day banking revolution. It will save you money. I have saved thousands in fees already. Enjoy! Nope. Transferwise currently does not support a ₿ transfer out. You hold your money in US or AU $, €, or ₤ or any of the other supported currencies (which would entail some degree of FX risk). 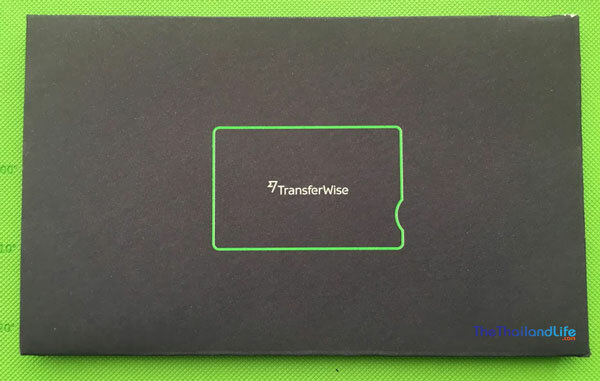 When you use your Transferwise debit card it's like getting an instant TW transfer. So your money wouldn't even need to go to BKK Bank. The last time I was in BKK Bank I asked about getting a new debit card as the Visa support was expiring. They told me I could do it right away or wait as they were going to add a MasterCard branded product sometime this year. Sorry, maybe I am misunderstanding, but I have the Borderless account and I hold money and transfer funds in THB. You cannot accept payment into the account in THB, but you can "hold the funds" and transfer THB out, I do this all the time. Yes, you can hold in THB or any of the other supported currencies (with their attendant FX risk) but you can't load it from a Thai account. TW says they're planning Baht-out support at some time but right now it's very difficult to move large sums out of Thailand through traditional channels and I'm guessing TW will take a long time to get it approved. By Baht transfer out I meant out of a Thai account, not out of your borderless account. I like Union Pay!It gives me discounts at airports, and in BKK e. g. at Villa Market @ Ari. You can use it with AliPay.But sure: I wouldn't want to have a UnionPay card as my only card! There are no "Transfer Fees" going from your CA bank to K-bank. Transferwise is the transfer agent so collects its fees once per transfer ($11.93CAD for a CA$1,000 transfer). There is no withdrawal fee from your bank (I'm guessing as Canada uses EFT which is basically the same system as ACH here in the US), it's more like paying an e-bill or e-check online. 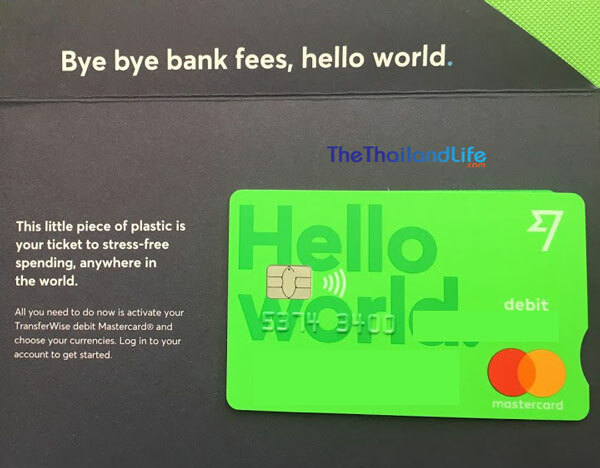 TW then works its magic in the ForEx market and a normal deposit of THB shows up at K-bank.So instead of a wire transfer with fees at both ends and getting reamed by a buy/sell spread at conversion you just pay TW's minimal fee and you're done. Hey TTL!I have such a card. But I don't use it much.I always prefer to take cash into the kingdom and convert it into THB at Superrich (or Thailand Exchange (near MBK)). Their spread is only about 0.3 %! Nothing beats that!!! And after that I use a CDM to deposit it on my bank account. BTW: Did you know that you can use any CDM (not just the ones from your own bank)? Hi DUS,1. My verified address is my UK address. I'm not sure about the address change thing. I used the address registered with my home country bank account. 2. The debit card is also now available in the US, but it's in Beta mode. They will roll it out to everyone in the next few months I'm sure. Try contacting them and ask to be part of the beta trial. They might send you an invite. The first 200 GBP (or equivalent) you withdraw every month (30 days) is free. After that, there's a 2% charge on withdrawals.Some ATMs charge their own fees on top of this, as some do in Thailand. Generally I still use my Bangkok Bank account to withdraw from in Thailand.To avoid extra fees from any ATM, be sure to choose the local currency where the ATM is. For example, if you're in the US, choose USD as the currency to be charged in. This will stop the ATM from marking up the currency exchange rate. Good review generally - BUT I think you're missing the point about steve o's question. It's almost impossible to avoid fees for cash withdrawals from Thai ATMs with a non-Thai bank card. Aside from your own bank / card company fees, in Thailand it is MOST not just some ATM which charge for withdrawals with an overseas card. The cost is around 200 baht for each withdrawal and it is now extremely rare to find one that doesn't levy this fee. That is on top of any fees charged by your own bank. You'd pay the local withdrawal fee charged by the bank too, I'd assume. But as JPB mentions above, TransferWise has started also a ‘cash’ debit card (visa) that you can load with the currency you want. So you don't have to withdraw from ATMs all the time. Try to find AEON ATMs in Thailand! They charge only 150 THB per transaction, or Citibank's! The latter ones allow up to 50 k THB per withdrawal. Hi Great article but can you give me some idea what the rates/fees are for loading up in euros/£ and converting to THB as this has has not been mentioned. Thank you. I've not done this so I don't know exactly, but given the examples in the post I assume somewhere around 0.5-0.7%. My usual scenario is receiving USD to Transferwise borderless and then sending that money to my UK bank account. I get the real market exchange rate and pay the conversion fee prior to it being sent, so it arrives in GBP. This has saved me a ton on previously receiving the money to my PayPal account or by wire. I would like to do the reverse as I get paid in Thailand (Bangkok Bank, sadly) and want to transfer the money to my US account. 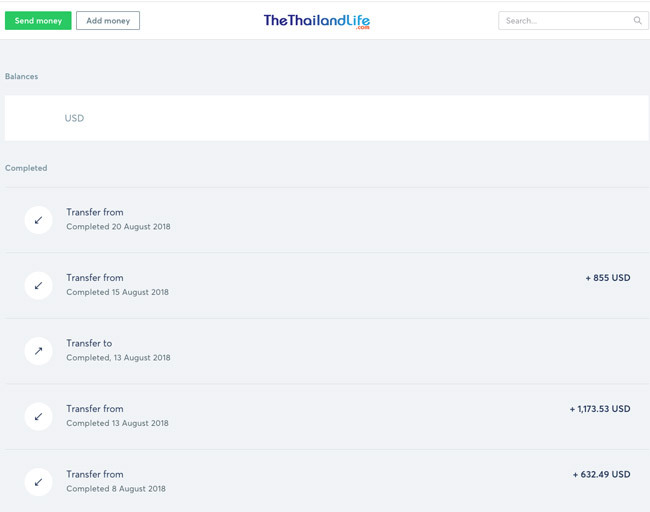 Do you know if it is possible yet to add money to your Transferwise account from Thailand? You mean send money to your TW account from your Bangkok Bank account? Yes, but you wouldn't have Thai bank details so it would be treated as a foreign transaction by BKK Bank, as you'd be sending it to your TW Borderless US, UK, AUS or EURO account (these are the bank account details they give you). Even though you can hold money in Thai Baht in your Transferwise borderless account, you can't send money to Transferwise via your Transferwise Thai Baht account. (You can only receive money into the account in Euros, US Dollars, British Pounds and Australian Dollars).Also, my Bangkok Bank account doesn't allow me to transfer money to an overseas account. So if your Bangkok Bank is like mine, the answer is no, you can't transfer money from your Thai bank account to either Transferwise borderless account, or to your US account via Transferwise. Yes, that's what I said. You don't get bank account details for a Thai bank account within the borderless account, only a Euros, US Dollars, British Pounds and Australian Dollars account details. Bangkok bank allows you to send via SWIFT to foreign accounts, and via the iBualang online banking system, if you have that capability. Bangkok Bank allow you to open up FCAs (Foreign Currency Account).In those you an keep non-THB currencies, and transferrals abroad are NP! All of the big banks allow FCAs. The problem is that when you need THB you are subject to their buy/sell spread. They also have fees wiring into or out of the account. Transferwise converts at the FX rate and has a very favorable fee structure. It's primary drawback is that (as of now) transfers out of THB are not supported. I read another review of TransferWise Borderless Account that says there is a way to get PayPal to transfer to a US TransferWise account. Don't know if it works as I have not tried it. I read the same review a while back. I called PayPal and they said no you can't add your TW US account and transfer USD out of PayPal. I think what you can do is make a conversion inside PayPal from USD to GBP and then ad your TW UK bank details. But that's pointless because you get stung on the exchange rate anyway. PayPal exists to make money on receiving money and converting currency at horrible rates. The best way forward is have people pay you directly into TW borderless. I work in the offshore industry, all over the world and live in Bangkok. I get paid in GBP and USD, previously I had a USD account as well as my GBP account in the UK. Both accounts were with Lloyds, and they gave me "free" transfers between the accounts. This is the biggest con the banks make. They don't charge a fee, but they give you a horrendous exchange rate. 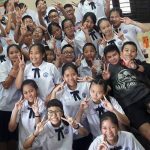 TransferWise is by far the best bank and exchange mechanism on the market to the best of my knowledge and I use it all the time to transfer money and withdraw cash in Thailand and around the world. So a borderless account might be useful for you, because your employer could pay the USD into your account using the US account details. You can also hold a GBP balance. Agreed, TW beats the banks hands down.